PLDD was first introduced in the 1980s and the concept is based on the fact that a small reduction in volume of the nucleus pulposus results in a significant reduction in intradiscal pressure. This is achieved by introducing an optical fiber into the intervertebral disc under image-guidance and local anesthesia and laser energy is released, vaporizing a small volume of the nucleus pulposus. Treatment of the first patient with PLLD took place in 1985 and from then until 2011, more than 30,000 patients have been treated with this procedure. US Food and Drug Administration (FDA) approved PLDD in 1991. Percutaneous laser disc decompression procedure A CT was performed in order to locate the level of the affected disc, to guide needle placement exactly within the nucleus pulposus and to visualize intradiscal vaporization. Cherylas 30W 980nm diode laser, portable, operated in pulsed. Laser energy was transmitted through a contact optical fiber (400 m), sterile and flexible. 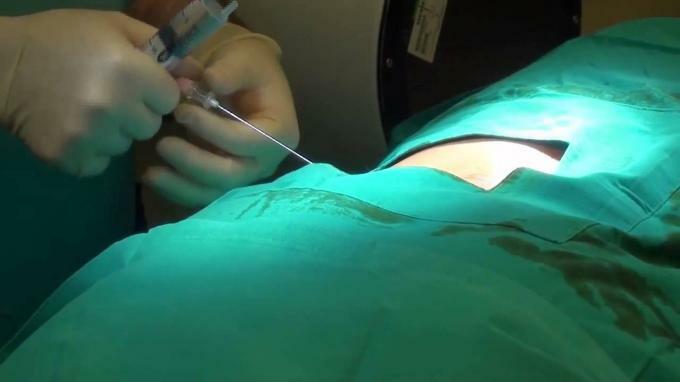 After disinfection of the area, local anesthetic with lidocaine was injected under CT guidance at the entry point of the needle a through the deep fascia and muscle layers, under CT guidance, a fine hollow 18G needle was then placed centrally in the nucleus pulposus of the intervertebral disc, The needle was removed and, once verified, a 400 m sterile optical fiber with a proximal mark to prevent penetration of the tip more than 1 cm beyond the end of the needle was inserted into the needle.15 W of laser energy were delivered in 0.5---1 s pulses with 4---5 s pauses to allow heat dissipation and avoid or minimize the pain caused by the heat. 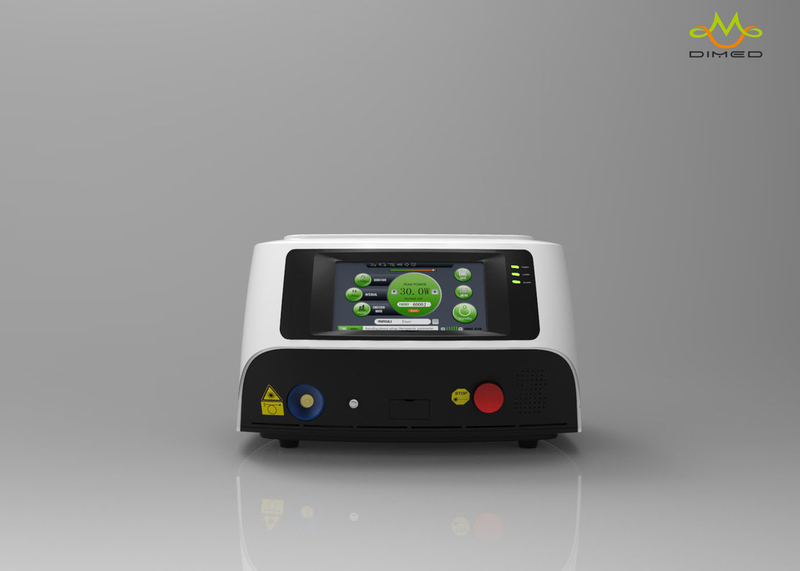 Careful monitoring of patient discomfort is absolutely necessary, and the pulse rate should be increased if the patient experiences discomfort.The laser energy delivered ranged between 1000 and2000 J, depending on the level of the herniated disc,and the formation of vaporized gas within the disc was also valuated.